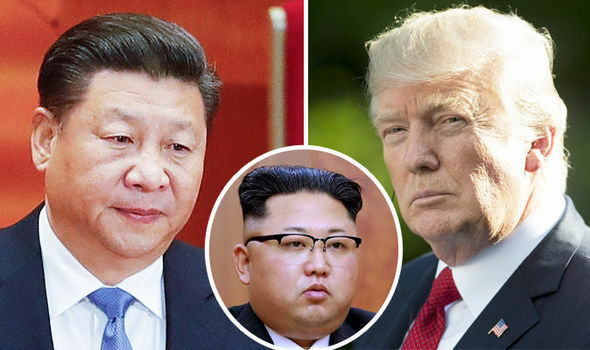 On February 23, 2018, the republican US President Donald Trump announced a set of sanctions against North Korea and those countries assisting N. Korea to circumvent these US punitive measures. But Russia is one of those countries and guess which country was not subjected to these US sanctions? This is just another example of how the president’s attitude towards Russia is affecting US policy. Though the sanctions take aim at entities across the world for doing business with North Korea, none of those entities are Russian. President Trump hasn’t even imposed sanctions against Russia after being presented with incontrovertible proof that Russia has conducted a successful major attack against the 2016 US elections infrastructure with the intent to sow chaos and discord with the American peoples and to influence the outcome. The Secretary of the Treasury, Mr. Steven Mnuchin has insisted the Trump administration would sanction Russian vessels and entities for North Korea issues if warranted. There has been no explanation as to why he managed to specifically mention all the other countries but not Russia. “The smuggling has also inflamed tensions with China and Russia, since both countries are linked to this trade”. Such a move, he predicted, will meet resistance from China and Russia. Those countries thwarted an effort in December by the administration to put a provision into the latest United Nations Security Council resolution on North Korea that would permit countries to hail and board North Korean ships in international waters. In addition to China, the Treasury Department sanctioned ships from North Korea, Singapore, Taiwan, Hong Kong, the Marshall Islands, Tanzania, Panama, and Comoros. It did not blacklist ships or companies from Russia, even though that country is suspected of supporting the illicit trade. A senior administration official said the US had raised concerns about smuggling with Russia and had previously designated Russian entities with links to North Korea. 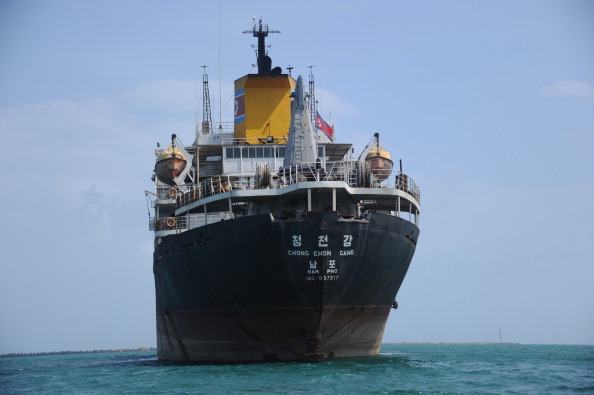 He said the 28 ships blacklisted — with names like Oriental Treasure, Asia Bridge 1 and Koti — constituted virtually all the vessels currently known to engage in prohibited trade with North Korea. Navy or Marine warships would deploy small boats carrying troops who are trained in what the Pentagon calls visit, board, search and seizure operations. Once aboard, military officials said, the search party would have two options: sweep the ship and turn it back over to its crew or, if ordered by their commanders, seize it. The military, however, has options short of boarding, officials said. It could track suspect vessels, by sea or with P-3 or P-8 surveillance planes, until they make port. The United States or its allies could then call on that nation to inspect the ship’s cargo to determine whether it violated existing United Nations sanctions. Most of us who are sane, are furious. This person in the White House is clueless about how business works in the real world. Here’s the thing, the steel workers in the USA have been left behind. The US business world and the US government have failed them by not providing a way for these folks to earn a similar level of earnings working elsewhere. I had that same complaint about TPP. The solution is NOT to add tariffs and/ or to back out out of trade deals, but to seriously figure out ways/ programs to compensate those who will be the losers in the trade deals. There will always be the losers but there will be lots of winners. Now the president is not known for long term thinking. There is that March 13 Pennsylvania Special Election in District 18 for a US congressional seat which has been in republicans’ hands for years. But this year is different. as the democrats are represented by an outstanding candidate, Conor Lamb. The race is close. It just so happens that the city of Pittsburgh is part of that district 18 and it is well known for its steel industries. He did promise to increase steel industry jobs during his campaign. You can figure out the rest. The only good news is that the president has yet to sign this order to increase tariffs. You can bet that everyone possible will be on his back on this one. Trump gains a short term advantage with these tariffs b/c most of the US steel plants are in Trump states as well as thousands of jobs that rely on the steel industry. So once again Trump has to appease his base at the expense of everyone else. You and I are on the same page. The president is guilty as sin and because he can’t stand up to Russia, it is effecting US policy and this stance is counter to the US national security interests. Frankly, Rep Nunes needs to be checked out by the FBI as well. Agreed. He needs to be demoted first along with a censure. On a side note, Ivanka looked stunning in her black David Koma designer dress. LOL, Russian “sanctions” apparently don’t mean much to this administration: Russian gas defies U.S. sanctions to reach New England. Like I said, business as usual. Money talks…. sanctions walk.